The sandwich has been America's go-to lunch (and sometimes dinner and breakfast!) staple for generations, but that doesn't mean it has to be boring. 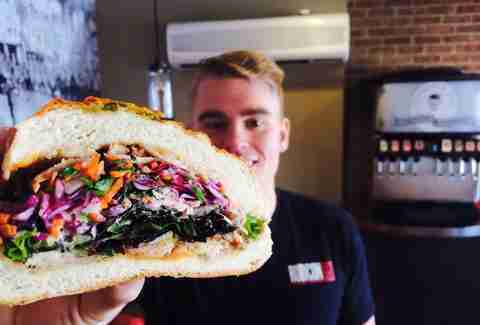 San Diego is blessed with sandwich purveyors so innovative and delicious, you'll be tempted to slap your mother for that PB&J crap you used to get in your lunchbox. But don't do that! Eat at these places instead! When a place makes its own bread in-house, you can bet its sandwich game is on point. In Rubicon's case, you would be correct. 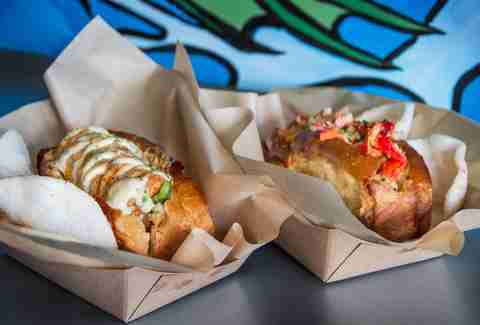 They offer several must-have varieties, but "The Belly Up" rocks just as hard as its namesake and is full of slow-roasted pork belly, sweet & spicy coleslaw, lettuce, and miso-ginger mayo. If you prefer to forge your own path, they have an encyclopedic array of build-your-own ingredient options. No matter what route you go, a cookie is a must. 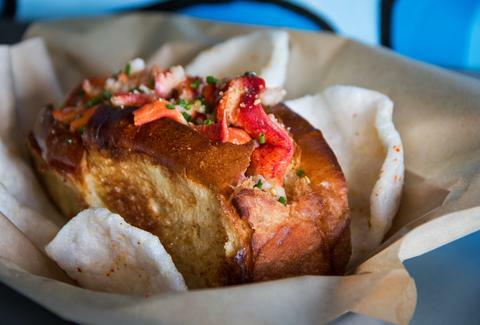 Just about anything you order at this "sea-to-sandwich" joint is sure to cause an otherworldly experience in your mouth. Supernatural sources the freshest local seafood and ingredients, makes all their sauces in-house, and the bread... the bread! Give in to the call of the Siren, full of sautéed garlic shrimp, rustic marinated tomatoes, cheese, garlic-chive aoli, and spicy guajillo salsa. It might be impossible to pronounce "Cthulhu." Thankfully, you don’t need to pronounce it, you just need to eat it. There is a ton of lobster poached in umami butter on this baby, and you should definitely order it with some extra umami butter on the side. For those still sticking to their New Year’s resolutions and seeking something on the healthier side without sacrificing flavor, stop over at the T-Deli next time you’re in Hillcrest. 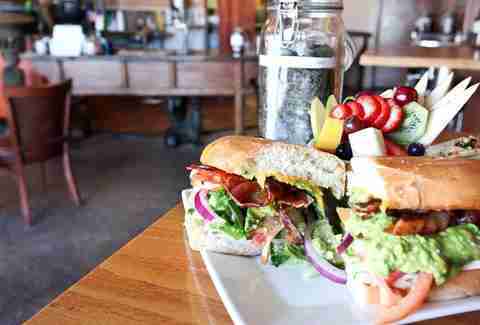 You can’t go wrong ordering the avocado BLT (stacked with strips of bacon) or the chicken pesto torta. They also have smoothies, a killer fruit salad, and multiple shelves stocked with every kind of tea you can think of. Basically every sandwich on their menu is under five bucks, but at just $2.99, the #9 Grilled Pork Sandwich is the way to go. 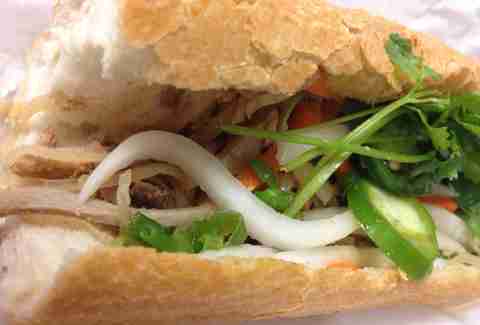 You can’t beat banh mi thit nuong with grilled pork, cilantro, jalapeños, house mayo, and pickled carrots and daikon. It might be a Vietnamese sandwich, but do the American thing and order it with extra meat. K Sandwiches also has a bakery with an ever-changing selection of fresh breads and pastries. Come hungry. Hillcrest Sandwich Co. might be on the small side, but their sandwiches are definitely not. 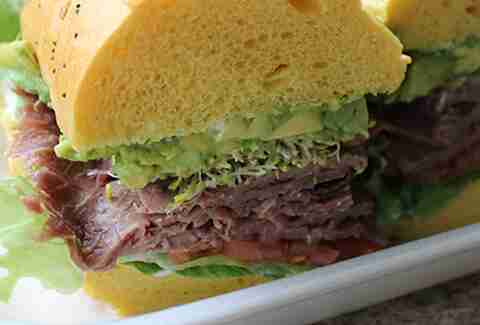 "The Angel’s Gate" lives up to its heavenly billing with its huge stacks of roast beef, Swiss cheese, sprouts, red onions, and avocado on an onion roll. Don’t have time to escape the office for lunch? Too lazy to get off the couch? Good news! They do local deliveries. You can find Capriotti’s all over the country and in a couple of places in San Diego, but just because it’s a chain doesn’t mean that they don’t make one hell of a sandwich. 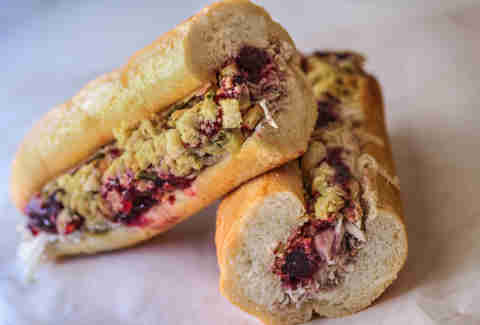 If you want Thanksgiving in and around your mouth 365 days a year, then "The Bobbie" is exactly what you need. It has all your favorite Thanksgiving leftovers like homemade turkey, cranberry sauce, and stuffing. The name "Fat Sal’s" says it all. Think of every food that could possibly give you a coronary and you will find all of them on the "Fat Jerry." 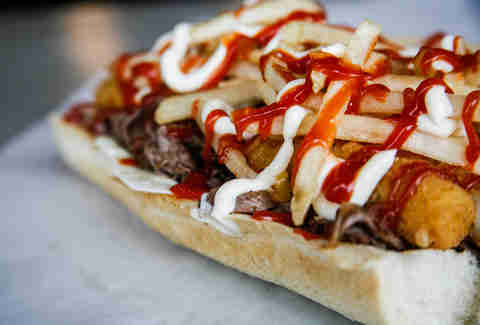 Cheesesteak, chicken fingers, mozzarella sticks, bacon, fried eggs, fries, mayo, ketchup, and salt & pepper -- all on an extra-wide hero. The author may have gained 10lbs typing that.